The Kindergarten students had a memorable time at the picnic on 11-11-16. They enjoyed the bus ride from school to the destination – Enchanting Acres at Kanakapura Road. At the farm students were welcomed by the staff. Later they were divided into various groups, accompanied by the teachers. 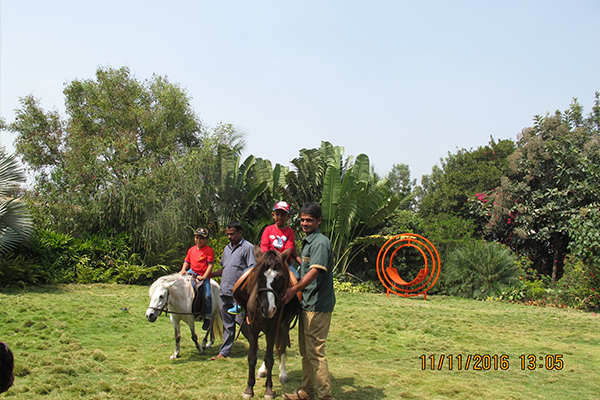 Each group witnessed various activities like – Pony ride, Potting the plants, Pottery, Finding the fruit, Splatter painting and they also got the opportunity to feed the fish and the cows. Students enjoyed the food served for breakfast and lunch along with ice-cream. It was a fun filled day for the students as well as the teachers.